As the Environmental Protection Agency prepares major new regulations on carbon emissions, the agency’s top watchdog is warning that fraudulent environmental data may be influencing its work. The findings could provide fodder for critics of the new regulation, who warn that it could cost the U.S. economy billions and cause hundreds of thousands of Americans to lose their jobs. "The EPA lacks a due diligence process for potential fraudulent environmental data," the agency’s inspector general warned in a report released on Thursday. Existing processes for weeding out such data, the report said, are "out of date or unimplemented." "Our survey of EPA regional staff on their knowledge and use of the EPA’s fraudulent data policies and procedures found that a majority of respondents were unaware there was a policy, and approximately 50 percent expressed the need for such policies and procedures," the report said. The EPA relies in large measure on federal contractors to gather environmental data on which the agency bases its regulatory decisions. However, a lack of communication with those contractors and clear guidelines on investigative procedures has created confusion with respect to the processes by which fraudulent data is rooted out and corrected. Similar problems plague interactions between EPA and state environmental regulators, the report found. "The agency lacks policy on communicating case information with the states and other regulating parties during investigations," the IG wrote. As a result, "potentially negative consequences for human health and environmental protection may be not be communicated or addressed." The EPA said it would initiate a number of corrective actions to remedy the problems. The IG was satisfied with the actions, saying "recommendations are considered resolved and open with corrective actions ongoing." Without those corrective actions, the report warned, the agency risks undermining public confidence in its regulatory work. 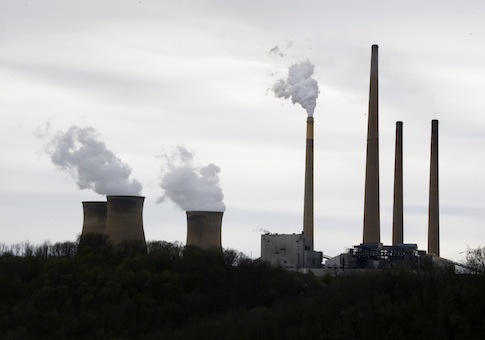 A lack of public confidence could be troublesome for the agency as it rolls out new regulations on existing coal-fired power plants that are sure to stoke controversy in Washington and around the country. Aimed at reducing what the administration calls "carbon pollution," the regulations could reduce U.S. gross domestic product by $51 billion and cause average job losses in excess of 200,000 every year through 2030, according to a study released this week. "These carbon rules are another example of Washington bureaucrats picking energy winners and losers," said Sean Hackbarth, a spokesman for the Chamber of Commerce, which commissioned the study. "The biggest losers will be Americans who lose their jobs and feel the brunt of higher electricity costs." This entry was posted in Issues and tagged Coal, EPA. Bookmark the permalink.